As we do each month we bring you the latest set Miles & More "Meilenschnaeppchen" or Mileage Bargain discounted mileage awards. This month the offers are for flying out of Montreal, Toronto and Vancouver. 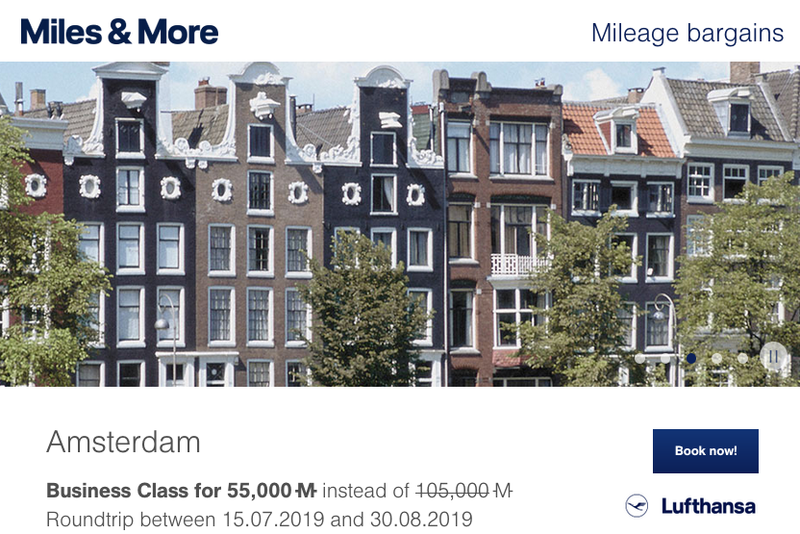 Please note that this should be the last month of business class pricing out at 55,000 miles as Miles & More is boosting the standard 105,000 miles requirement to 112,000 come May 9th. We aren't sure if they will still discount by 50,000 miles or some amount at that time. Economy class will remain at a 60,000 miles base amount. With this month's offer you can redeem Miles & More miles for round trip business class tickets on Lufthansa for only 55,000 miles. This is nearly a 50% discount off the normal award ticket price of 105,000 miles. 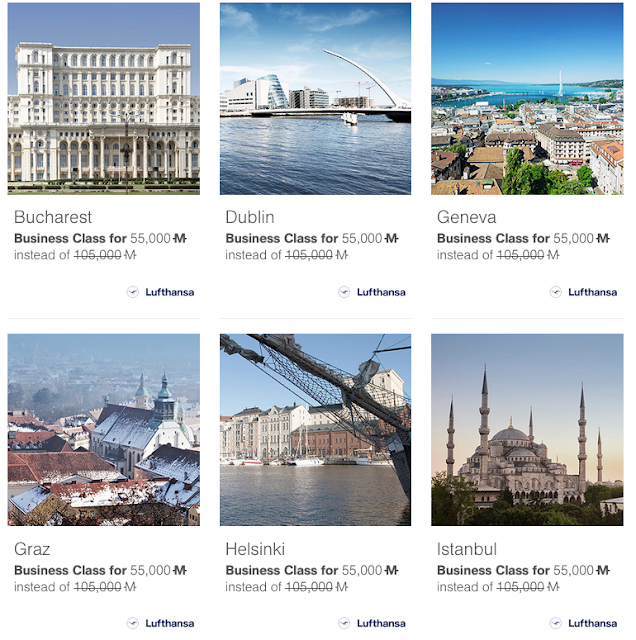 Remember however Miles & More charges some major fees for redeeming miles on these flights so be sure you also check what a revenue ticket costs however remember this is for business class so even several hundreds of dollars in fees along with 55,000 miles could be the savings you are looking for. You can also choose to redeem 30,000 miles for round-trip Economy Class Austrian Airlines flights from Montreal to Austria. 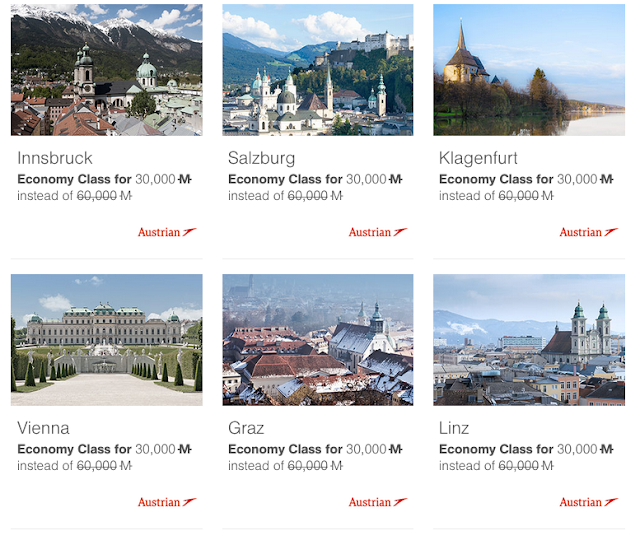 This is a 50% discount off the normal Economy Class award ticket price of 60,000 miles. Short on Miles & More miles? Your best bet is to convert Marriott Bonvoy points to Miles & More on a 3:1 basis plus you'll earn 5,000 bonus miles when you convert 60,000 points at a time. That means 75,000 points is all it would take to get one of the economy class tickets if you don't have any Miles & More miles to your name. If you don't have any Marriott Rewards Points you can get close to amount required to redeem for the tickets by grabbing some credit cards! How so? As we always mention in this post you can boost your Miles & More account with the Marriott Bonvoy American Express Card to top off your account. Currently the card comes with a 60,000 point sign up bonus when you spend $1,500 on the card and then you could also grab the Marriott Bonvoy Business American Express Card as it also has a 60,000 point sign up bonus and then you would ultimately be able to have 120,000 points not including what is earned on spending. Of course timing of getting the card(s) now, spending and getting the points will likely not happen for this month but it sets you up for future offers. Need to grab two tickets for an itinerary? You could choose to get one Marriott card for yourself and one for your partner or spouse.